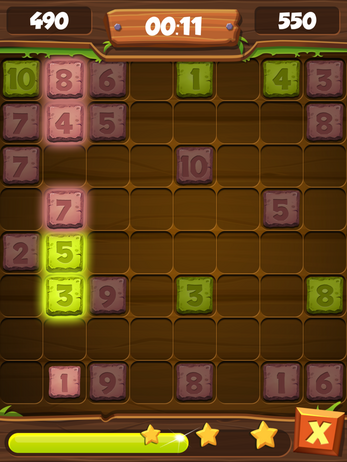 Logic game where you select stones to gain highest score. Players take turns to make a move, choosing the most profitable stone for this move. 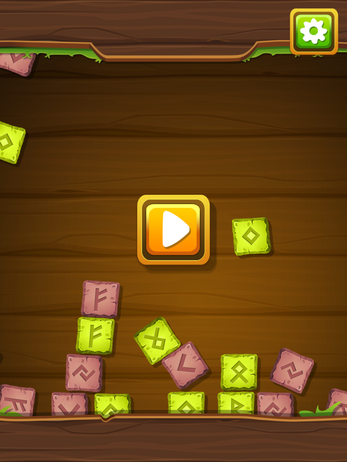 The player can choose a stone only horizontally, and the computer only vertically. Stones of green color add points, and stones of red color take remove points. 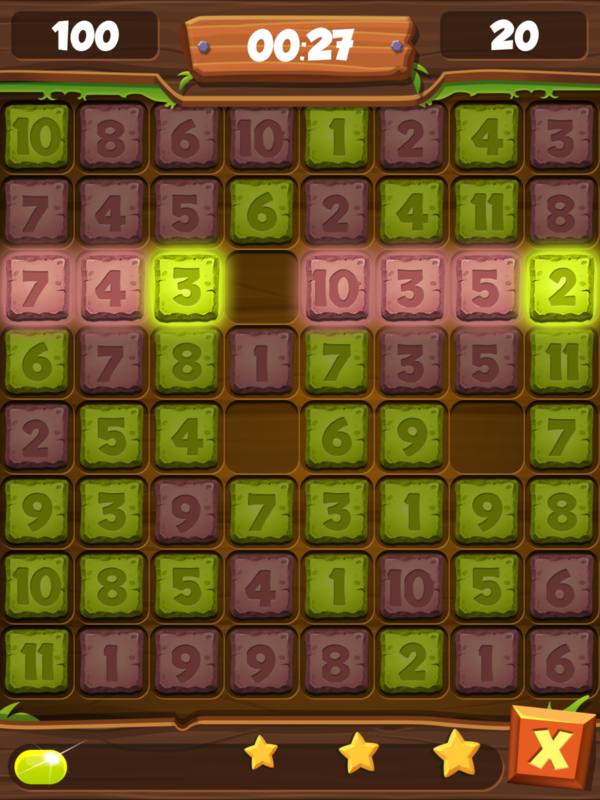 The task of the player is to score more points than the computer.